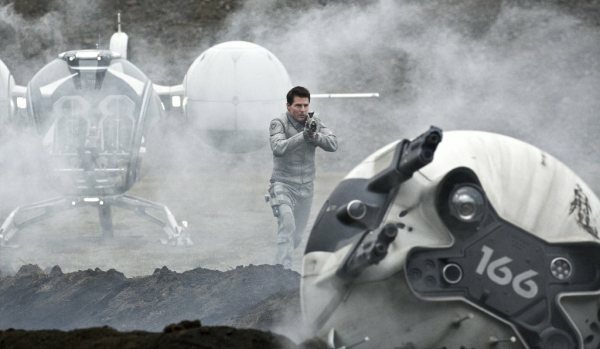 ‘Oblivion’: Cruise, Kosinski set for Hero Complex Imax screening | Radical Studios, Inc.Radical Studios, Inc. Excited to see Tom Cruise return to spectacle science fiction cinema in “Oblivion”? So are we. The Hero Complex screening series is going bicoastal with our latest event, a sneak preview of the star’s new film “Oblivion,” which will take place at New York City’s AMC Loews 34th Street on April 15. An interactive, live Q&A with Cruise and director Joseph Kosinski (“Tron: Legacy”) will follow the screening at 8 p.m. The post-screening Q&A, moderated by Hero Complex contributor Rebecca Keegan, will be simulcast via satellite to nine IMAX theaters in Dallas, Denver, Detroit, Los Angeles, Miami, Philadelphia, Phoenix, San Diego and Virginia Beach, Va. The discussion will also stream live on Hero Complex and at facebook.com/IMAX. Audiences in all 10 cities as well as online viewers will be able to submit potential questions real time via Twitter by tweeting queries for Cruise and Kosinski at #Oblivion#(city name). Tickets and additional details will be available beginning at noon ET on April 3 atwww.OblivionHero.com. Admission to the New York event is free and available on a first-come, first-serve basis. Based on a 2010 graphic novel Kosinski penned with comic book writer Arvid Nelson, “Oblivion” takes place on a future Earth left decimated by an alien invasion. Former Marine Jack Harper (Cruise) is one of a few people left on the planet to mop up after the war. The movie, written by William Monahan, Karl Gajdusek and Michael Arndt, also stars Morgan Freeman as a 102-year-old insurgency leader, Melissa Leo as Jack’s authoritarian boss and Olga Kurylenko as a mysterious woman who stirs Jack’s memories. In an interview earlier this spring, Kosinski told Keegan that by shooting “Oblivion” in Iceland in June — when there is near-continuous daylight and the warm, waning light known as magic hour lasts from 6 p.m. to 1 a.m. — he sought to take his imagery into a bold and revolutionary place for sci-fi: the sunshine. To read Keegan’s complete interview with Kosinski, check out the spring issue of the Hero Complex magazine, available now. “Oblivion” opens in theaters across the country April 19. This is my number one anticipated movie to watch this year. This sounds great. The IMAX version should be outstanding, especially with a tricked out sound system capable of keeping up with the Dolby Atmos soundtrack. Gina McIntyre left out a couple of important actors in the write-up, namely Andrea Riseborough and Nikolaj Coster-Waldau, both of whom gave great performances. This film is definitely worth seeing.